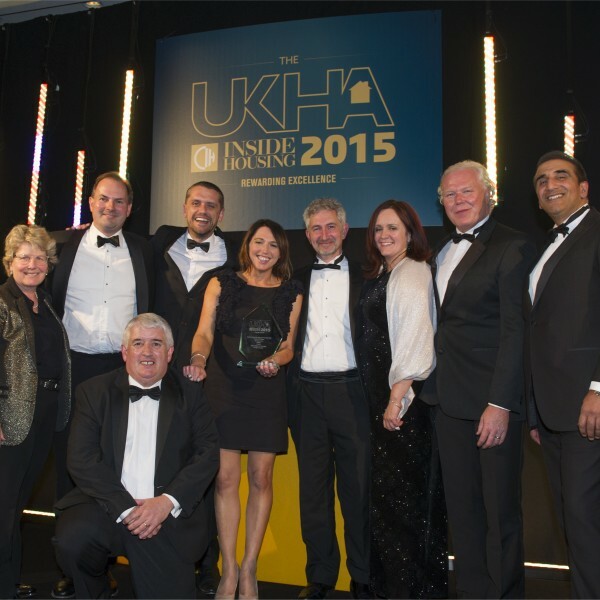 John McCall Architects’ wins UK Housing Award. Our youth enterprise centre designs for social landlord Grŵp Cynefin have won an RIBA Welsh Regional Award and the UK Housing Award. The £2.2m facility in Denbigh, north Wales creates a hub in the heart of the town that supports young people in learning, skills development and securing work. It won the Outstanding Development of the Year title at the Chartered Institute of Housing’s UK Housing Awards in London. Director at John McCall Architects, Carl Grannell, said: “The UK Housing Awards are the biggest in social housing so it’s a great achievement for us and Grŵp Cynefin. Our scheme included six on-site self-contained apartments as part of a supported housing project with staff sleep over accommodation. “We focused on openness, visibility and inviting accessibility from the street to encourage visitors. It was created to give youngsters a sense of ownership by adapting to different users’ needs and extending links to local businesses, training and support services while fostering relations between the young people’s centre and housing services. Other features included a series of Educational Training Rooms as well as a Music Studio for Llandrillo College, which in the future will hopefully encourage and inspire more young people into further education. High levels of natural daylight flood the building through sun-pipes to create an uplifting atmosphere to all areas. The centre is aiming to recycle 100% of waste in line with the Welsh Government’s targets.